Xiaomi Redmi 3S vs. Coolpad Mega 2.5D : Which One is Better ? 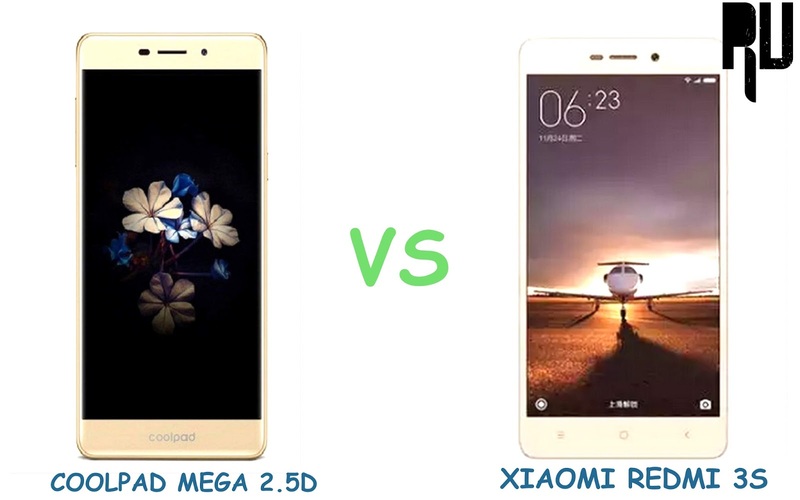 1 Xiaomi Redmi 3S vs. Coolpad Mega 2.5D : Which One is Better ? 1.1 Which one is Better Coolpad Mega or Xiaomi redmi 3S ? Do you want to know the comparison between the Redmi 3s vs Coolpad Mega 2.5D ? If yes then you are at right place . Today we are here with the Guide on which one is better The Xiaomi redmi 3s or Coolpad Mega 2.5D . Coolpad Launched the Mega 2.5D smartphone in india on 10th august and Xiaomi also recently launched the New redmi 3s in indian market . Both the smartphone comes under the Sub 10k smartphone segment . As the Both smartphones come at almost a same price tag so many users are confused between both smartphones . So today we are here with the comparison guide on The Redmi 3s vs Coolpad mega 2.5d . Which one is Better Coolpad Mega or Xiaomi redmi 3S ? The Xiaomi redmi 3s comes with a 5 inch display , The display of redmi 3s comes with 720X1280 Display Resolution and 294 Pixels per inch . The device comes with Sunlight Display technology which automatically adjusts the display according to the light on the sensor . At the top there is Corning gorilla glass 3 coating protecting the smartphone from Scratches and Falls . Related :- LeEco Coolpad CooL1 Soon going to launch . The Coolpad mega 2.5D Comes with a 5.5 inch display , The display of coolpad mega 2.5d Also comes with 720X1280 resolution . The Display is a 2.5D glass display which makes Coolpad Mega the First phone in india below 10,000 to feature a 2.5D display . The 2.5D glass protects the display from scratches an cracks and . Coming to the performance of the display so the colours emitted from the display are vibrant . In the display comparison Coolpad mega 2.5D gets a edge over the Redmi 3s as it comes with 5.5 inch display and 2.5D Glass which makes Coolpad mega 2.5D the Best display smartphone below 10,000 Rupees . For capturing selfies there is a 5 Megapixel camera unit at the front end which also comes with autofocus Feature . Just like the rear camera the front unit of the redmi 3s also comes Beautify and different filters . The Coolpad mega comes with a 8 Megapixel primary camera unit , The camera captures good images in the bright light but in low light the Details of the images are washed out . The primary unit of the mega 2.5 comes with Autofocus, pro mode, Manual mode . Coming the front camera , The Coolpad mega 2.5D comes with a 8 megapixel front camera unit that captures good selfies . The front camera of Coolpad mega comes with Autofocus , beautify mode and many other features . So in the camera comparison both xiaomi redmi 3s and Coolpad mega 2.5D have there different advantages , Like for those who want a good selfie camera phone then the Mega 2.5D is a perfect option but for those who prefer back cameras and oftenly use for photography purpose then Xiaomi redmi 3s will be the best option . The Xiaomi redmi 3s comes with 1.4Ghz Snapdragon 430 Processor , The snapdragon 430 is a octa core processor that comes with 8 Cortex A53 Chips . The snapdragon 430 processor is a old processor . Along with a octa core processor the redmi 3s comes with 2Gb and 3Gb ram . For better gaming and graphics there is a Adreno 505 Gpu . In addition the Xiaomi redmi 3s comes with a Fingerprint sensor at the back . The Coolpad mega 2.5D comes with a Mediatek Mt6735 processor clocked at just 988 MHZ which is comparatively very less compared to other smartphones at the same range . The Coolpad mega 2.5D comes with 3Gb of ram that makes moderate multitasking easy on the device . There is no fingerprint sensor in the Mega 2.5D , Under the hood there is a Mali T-270 Gpu . The Xiaomi redmi 3s comes with a 4100mah battery which lasts for around 2 days with just a single charge . The device supports fast charging . The Coolpad Mega 2.5D comes with 2500 Mah battery which is expected to give a battery backup of 3-5 hours . Both the smartphones are good considering their price , But It’s the Xiaomi redmi 3s which gets edge over the Coolpad mega 2.5D because it comes with a powerful processor , More battery and A fingerprint scanner . However the coolpad mega 2.5D isn’t also a bad choice as you get a 8 Mega pixel front camera and 5.5 Inch 2.5D glass display . So this was our comparison on the Xiaomi redmi 3s vs Coolpad mega 2.5D .